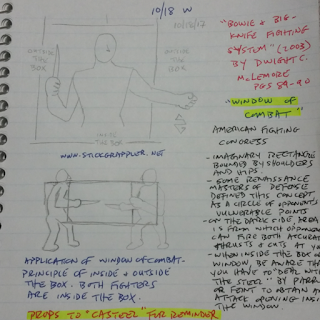 Application of window of combat - principle of inside and outside the box. Both fighters are inside the box. Imaginary rectangles bounded by shoulders and hips. Some Renaissance masters of defense defined this concept as a circle of opponent's vulnerable points. On the dark side, the area is from which opponent can fire both accurate thrusts and cuts at you. When inside the box or window, be aware that you have to 'deal with the steel' by parry or feint to obtain an attack opening inside the window. P.S. Props to my friend 'casteel' for the reminder of W. Hock Hochheim's/Col. 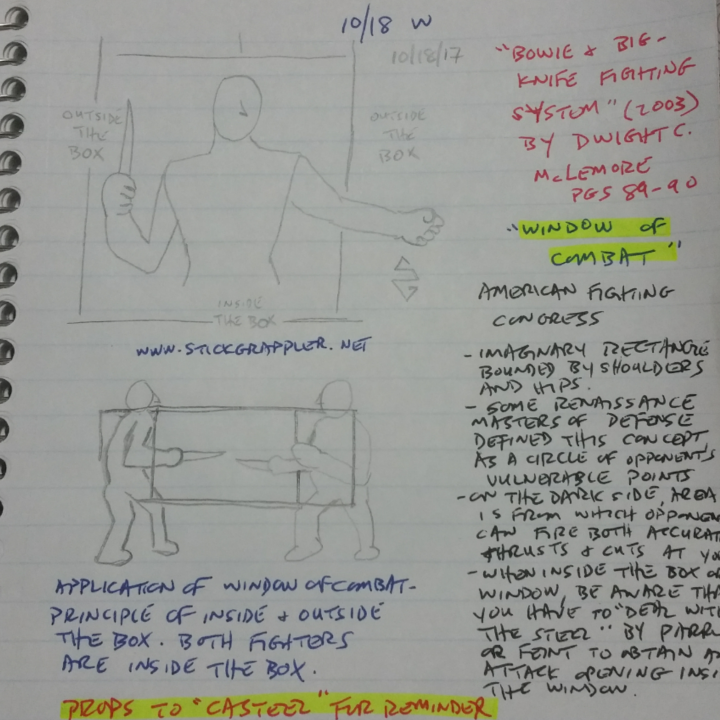 Dwight McLemore/American Fighting Congress' "Window of Combat" when I posted the Inktober Day #16- "Box Theory" by Terry Trahan sketch I drew. DIGRESSION: I highly recommend all of Col. Dwight McLemore's books - love them all! And with Paladin Press shutting down their business towards the end of November, you can buy them at 55% off if there is inventory left.